First, make sure that your device is up to date. An outdated device may be causing issues with your app. Make sure you have at least iOS 10.0 or Android 5.0 on your device. You can check for System Updates in your Settings. Next, make sure your app is up to date. You can check your app version by going to My Account > Legal Information -- the version number will appear at the top. The most recent version: 4.9.3 (Apple/Oct.2018), 4.9.2 (Android/Aug.2018). Log out and log back in to your app. This will kick-start the syncing process between your app and our servers. 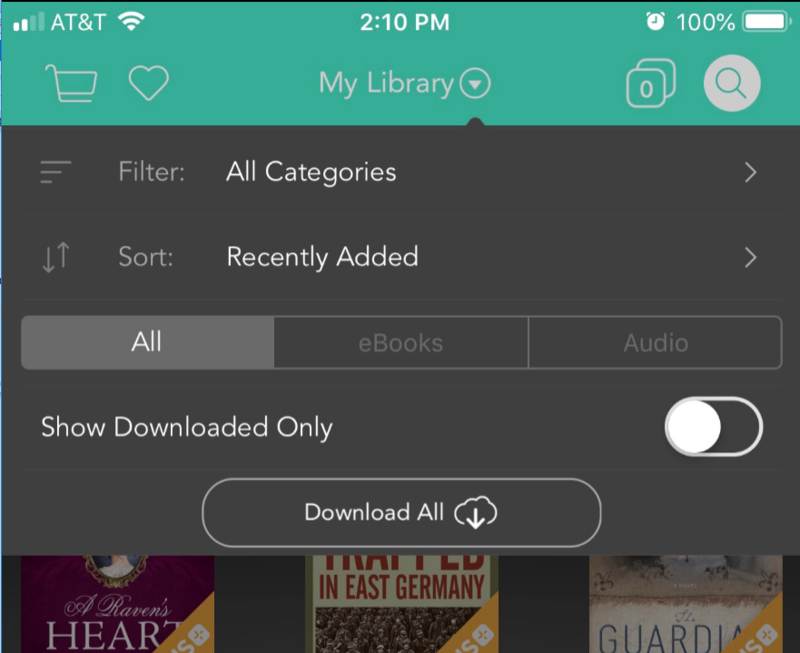 Tap on the "My Library" tab in the bottom left to navigate to your Library. Tap on "My Library" at the top of the screen in white letters. This will drop down a new menu. Make sure Filter: is set to "All Categories". Make sure Sort: is set to "Recently Added". Make sure "All" is selected, and not just 'eBooks' or 'Audio'. Make sure "Show Downloaded Only" is turned off, or to the left. Once you close the settings menu, under the "My Library" at the top, in the gray portion it should say "All Books". To the left of this there will be three lines and to the right it will say "Select". If your app does not say "All Books" in the middle, tap on what it does say, and switch it back to "All Books". If at this point you still don't see your books in your Library, please give us a call at 1-800-453-4532 or email us at downloads@deseretbook.com, and our technical support team will be happy to look into your account.